You might think that social media and telemarketing are not ideal bedfellows and have no place together in a blog. But that’s not necessarily true. They are often considered to be at opposite ends of the marketing spectrum and advocates of these different forms of marketing might defend their respective honour to the death. Social media is supposed to be engaging and informative. Its aim is to provide useful information to people that might share this with their peers, the result hopefully being increased reach for your business and marketing messages. The endgame of course is to be perceived as a business with which prospective customers would like to do business thereby encouraging them to make enquiries. This is inbound marketing at its finest and a component of social media lead generation. Compared to social media, telemarketing is characterised as ‘cold calling’ and is labelled as poor quality, high volume pushy calls used to sell PPI, double glazing or time share. Some calls are from offshore call centres with the resultant poor mastery of the English language and stiff scripted calls designed to irritate. This is a very unfair characterisation. Of course there is an element of ‘cold’ about many outbound calls and some cold calls aren’t pleasant. But outbound lead generation of this nature isn’t only confined to hard-nosed phone selling. There are all manner of ways that telemarketing can be used in b2b marketing to enhance the sales process and increase credibility and to support social media activity. If you think for a moment about the objective for lead generation (and that even includes social media ultimately), in most organisations it is about identifying, attracting and converting new business. The target decision maker that could potentially buy your services can be reached through all manner of channels and sources. He or she could be reading a blog article that you created or in which your business was referenced. They could see an advertisement, watch a video on your website, receive an email, a phone call or a creative piece of direct marketing via post. This list of sources is far from exhaustive. The point is that decision makers are exposed to many different sales stimuli and marketing messages all day every day. Some of these are social and some are not. The problem is that communication has got faster and more immediate yet we have less time. The Internet has changed the face of communication. Emails arrive by the bucket load. Facebook, LinkedIn, Twitter and other social platforms are part of our everyday life. And, whilst it’s still hugely important, content is everywhere in blogs, videos, infographics, white papers, editorial and so on. There’s a snowstorm of information and it’s ever harder to cut through and to find the time to digest everything that’s thrown at us on a minute by minute basis. Now you might think that a pitch for telemarketing is coming. That’s not the point of this blog. The point that I’m trying to make is that for every audience, in every sector, and in your marketing, you need to focus. Spreading your efforts too thinly will fail. There is no denying that Google favours regular fresh content so content marketing increasingly needs to be a part of your marketing mix. If you want to rank highly, well written articles supplemented by other content such as videos are essential if a stream of inbound enquiries is something you seek. But the challenge with a lot of marketing methods is that they are relatively passive. You have to wait for a response. Telemarketing is a one to one medium where the aim is to engage on an individual basis. In business, you can only do that in two ways to any real level. That’s by phone and face to face. Of course, you can engage by email but how often does email marketing result in a significant number of deep email conversations? Chances are that someone will eventually pick up a phone. Email is a volume game. However, a well-written email with a good subject line and call to action that pushes prospects to an equally strong landing page on your website can generate interest. If that’s enhanced by another strong call to action on the page itself, this can drive inbound leads and enquiries that can be followed up by a phone call. 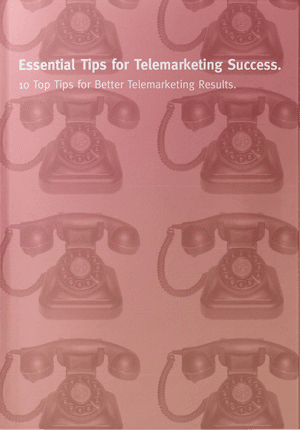 We were recently involved in a telemarketing campaign that had two elements. The first part was a number of cold calls to a targeted list. The second was to follow up inbound leads from social media advertising. The cold calls led to a good number of initial enquiries. However, due to data quality, it was difficult to reach the right decision makers. With better data the result could have been better. The social media ad campaign had a paid reach of 250k individuals that met the target profile. It ran across Facebook, LinkedIn and Twitter. That drove a 2% CTR (click through rate) to the landing page. Those 5000 click throughs did not however leave their details on the page. Sadly therefore, we were unable to make any calls to target those that had initially showed interest by clicking on the link. One could question the message and the call to action and that’s certainly something the agency that placed the ads will seek to change next time. But what a missed opportunity. If 10% of those click throughs had provided their contact details, we would have had 500 warm prospects to follow up by telephone using telemarketing. The same principle applies to any content developed for social media distribution. If the content is targeted and relevant and distributed (including using promoted posts or boosts), the hope is that sufficient traffic will arrive at a landing page. If one of the calls to action is to capture contact details, this becomes a warm lead for a phone call. Once could argue that the above is nothing new and that all we’re talking about is telemarketing follow up. To some extent that’s true. But the problem is that traditional methods have, to some extent, been abandoned in favour of other methods without considering a method to ensure that enquires are actually converted into opportunities. Frequently, there isn’t a process to follow through on social and it can be a slow process. Another way to perhaps look at this is around the use of LinkedIn. We all have networks and those networks are potential sources of referral and business. Our connections spread our messages. Some are potential customers. Identifying those and sending a message can be the start of a positive dialogue. But we’re all busy and, often, LinkedIn messages may go unanswered. That doesn’t mean the person isn’t interested or relevant (albeit that may well be the case if the message is ill-judged and too salesy) just that it is not their top priority. Why not follow up an online message with an offline call. It doesn’t have to be a pure sales call. It could be an invitation to an event especially one that could genuinely interest the other person. It could be an invitation to contribute to research or a thought piece that is to be distributed on social networks. The point is that we are fooling ourselves if we think that social media doesn’t have an ultimate sales objective. Why else expend the time, energy and money? Of course, it’s more engagement than overt sales. And online fulfilment will always have a lower marketing cost than human intervention. That’s where solutions like web chat come in and bridge the gap between call centres and pure online self-serve. But, companies spend an increasing amount of their marketing budgets on social media and content marketing. You can no longer ignore those as a means to reach and communicate with your target audience. However, it’s foolish to embark upon a social media strategy without considering a mechanism for capturing leads and following them up. Assuming that there are enough of leads, what better way to ensure they lead to worthwhile opportunities than with the personal touch that a well timed, well constructed and well positioned telemarketing call provides? Or through an inbound enquiry management process that ensures that no leads slip through the net. 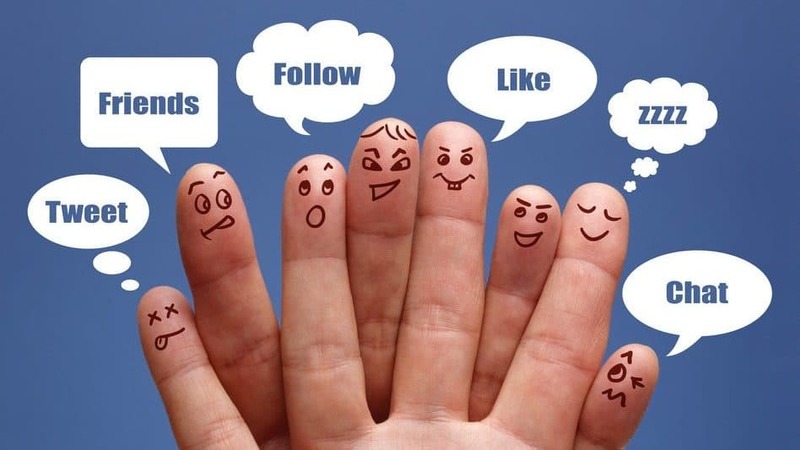 Can social media and telemarketing function together? Perhaps the question should rather be about why you’d implement a social media strategy that doesn’t include a robust process to follow up potential leads especially where this includes social media advertising.